Q. How can I find the syllabus for a class? 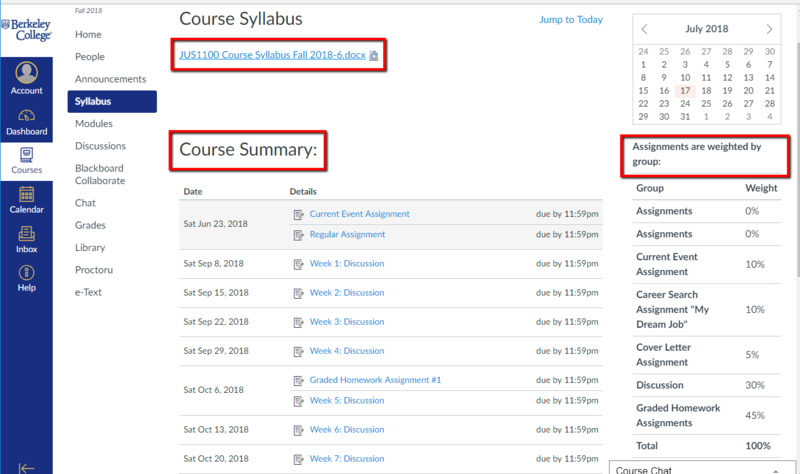 You will find the link to the syllabus in your Course section in Canvas. In order to get there, login to Engage, then click on the Canvas icon. From either the Canvas Dashboard or Courses link in the blue navigation bar, select the course. Inside the white course navigation bar, you will see Syllabus. Click on that link to open the page which contains a course Summary and list of all the activity and assignments for each week of the semester. On the right side it also says how much each of the assignments, tests, papers and projects count towards your grade for the course. Most professors will also attach the complete syllabus as a PDF or Word document, that you can open, read or print.